Many people have heard of "Yin" and "Yang". Some people even wear the yin and yang symbol as a necklace, but what does yin and yang actually mean? Yin and yang is a traditional Chinese philosophy that describes the two opposing energies in the universe. Yin is the dark energy that can also be described as the feminine aspect to the universe and usually relates to the night time. Yang is described as the light and relates to the day time and also relates to masculinity. 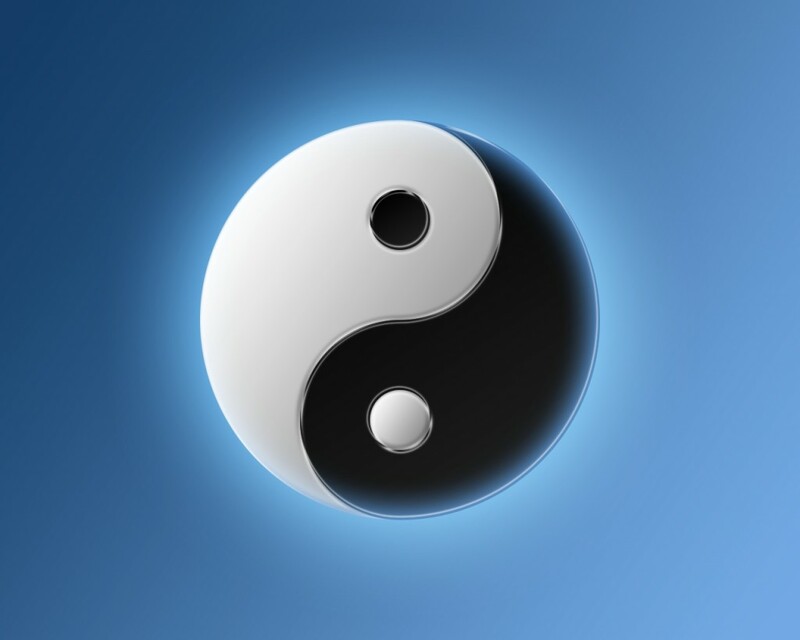 Chinese philosophy states that if a person does not have a balance of yin and yang they may become ill. Yin and yang can not exist without one another. Can the universe really have two separate energies? Yin and yang is also described as being "the balance between the body and the mind, nature and man, and nature and all existence." (http://www.newworldencyclopedia.org/entry/Yin_and_yang) Yin and yang can also be seen as the process transformation which describes the changes between phases of a cycle. For example, cold water (yin) can be boiled and eventually turn into steam (yang). There is no evidence that the universe or that the body and mind has two separate energies.